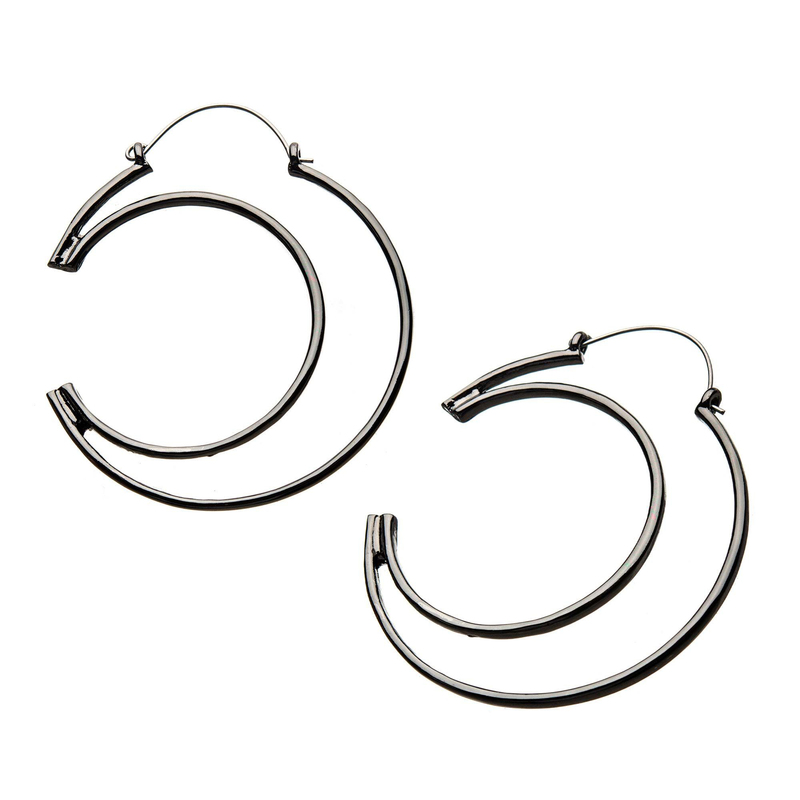 20g Base Metal Cutout Moon Plug Hoops with 316L Stainless Steel Post. Plug Hoops were designed to fit comfortable a tunnel style of body jewelery worn in the earlobe. The post is made from 316L and can be worn as a normal ear piercing. Sold as a Pair.